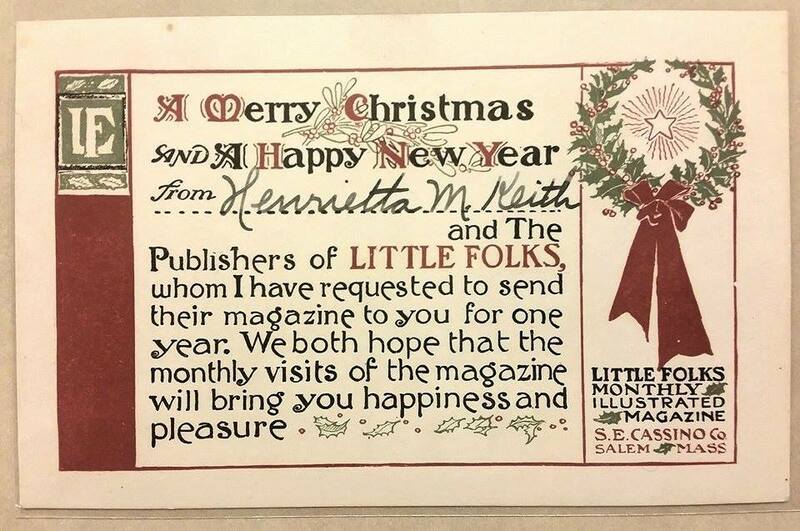 Subscriptions to magazines published by Salem's Cassino publishing company were popular gifts, especially for children. S.E. Cassino Co. was a Salem and Boston based publishing company, operated by Salemite Samuel Edison Cassino and his daughter Margherita Cassino Osborne. The two branches of the S.E. Cassino Co. focused on vastly different topics. The Boston branch, which was run by Samuel, focused on naturalist topics; the Salem division, which was edited and operated by Margherita and her husband Frank Wellman Osborne, concentrated on the more profitable sector of children’s magazines and books. 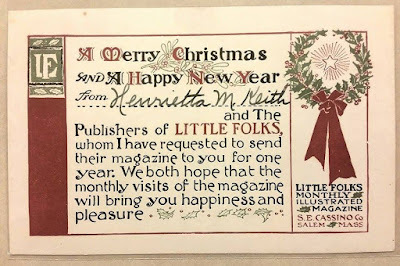 One particularly popular publication was Little Folks, which was a children’s magazine published in Salem from 1914-1928.